Learn about the various eras of Melrose: Metoyer, Herzog, Henry and APHN. In 1742, Marie Thérèse Coincoin was born a slave into the household of Natchitoches’ founder Louis Juchereau de St. Denis. St. Denis later leased the twenty-six year old Coincoin as a housekeeper to a young French merchant named Claude Thomas Pierre Metoyer. A nineteen year relationship ensued, resulting in ten children. Eventually, Metoyer purchased Marie Thérèse and several of their children, giving them their freedom. With her freedom, a yearly allowance, and a parcel of land given by Metoyer, Marie Thérèse began raising tobacco, cattle, and harvesting bear grease. In the coming years, Marie’s fortunes grew by virtue of her and her sons receiving land grants and purchasing slaves. They became the leading family of a community called Isle Brevelle, populated by “gens de couleur libre", free people of color who thrived as business people, plantation owners, and slave owners. In 1796, one of her sons, Louis Metoyer, was deeded 911 acres of land on which he would eventually build one of Cane River’s jewels, Melrose Plantation. Louis likely began development of the East bank of the river shortly after his land grant. Development of the west bank (the current Melrose property) began between 1810-1815 with the construction of Yucca House, African House, and a large barn. Louis began construction of the Big House in 1832. His death on March 11, 1832 left his only son, Jean Baptiste Louis Metoyer to finish construction. When Jean Baptiste died in 1838, Melrose was a sizable estate worth over $100,000. By 1843, Theophile Louis Metoyer - just nineteen years of age and married to his second cousin, Marie Elina - owned two plantations, a third smaller tract of land and was heir to 13,000 piasters. But Theophile Louis was an inexperienced businessman and within five years found his creditors pushing for settlement of deep debts. In 1847, Theophile Louis Metoyer lost almost everything he owned. Bayou Plat, one of his plantations, was purchased by his cousin Jean Baptiste Augustine Metoyer at only one-sixth of its appraised value. Beloved Melrose was sold to Henry and Hypolite Hertzog for $8,340. The Metoyer family owned Melrose Plantation from 1796 until 1847. Melrose would never again come under the ownership of the family who founded it but their legacy lives today as the founding family of the Cane River Isle Brevelle Creole of Color Community. Metoyer decedents who live along Cane River today are a people proud of their heritage and culture. The Hertzog family owned what would have been the neighboring plantation of Magnolia. The Magnolia big house built in 1830 was later destroyed during the American Civil War and was not rebuilt until the 1890s. Brothers Henry and Hypolite Hertzog, purchased Melrose in 1847 for $8,340. Melrose, already proven to be fertile land, became even more profitable under the brothers’ management. Oral histories tell us that the Hertzog brothers farmed cotton right up to the doors of Melrose, leaving no room for formal gardens. Fanny Hertzog, the widowed sister of Henry and Hypolite, began living in the Big House completed by the Metoyer family in 1833. It was Fanny who turned the meager two-room raised cottage into a large plantation home by closing in the upper gallery and above ground cellar, quadrupling her existing two room structure into eight rooms. The Hertzog family witnessed the ravages of war in 1863 and 1864 when it quite literally came to their door steps. During the Red River Campaign, the land surrounding Cane River saw both the Confederate and Union armies advancing, retreating, battling, and stripping the land of useable goods. Melrose’s survival during this turbulent time still remains a mystery. Reconstruction was significantly difficult. Cotton markets and the Louisiana economy were unstable, as society adjusted to the new labor systems of share cropping and tenant farming. Families lost their wealth, property, and a historic way of life. The time of the ‘Old South’ had come to an end. The state remained under Union occupation until 1877. Confederate sympathizers took control of the state government, sparking one of the darkest times in Southern history, the Jim Crow Era. However, it was during Reconstruction that Fanny Hertzog established the Freedmen school at Melrose, which provided the first formal education to former slaves on the plantation. Reconstruction ended in 1877 with the election of President Rutherford B. Hays. The Hertzogs would continue farming the Melrose property until its sale in 1881. The property was briefly owned by a New Orleans businessman, then sold three years later to Joseph Henry. Formal reconstruction ended in 1877 with the election of President Rutherford B. Hays. The Hertzogs would continue farming Melrose until its sale in 1881. The property was briefly owned by a New Orleans businessman, then sold three years later to Joseph Henry who named it “Melrose” in honor of Sir Walter Scott’s poem about Melrose Abbey. When Joseph Henry passed away in 1899, his son and daughter-in-law, John Hampton Henry and Carmelite (Cammie) Garrett Henry, bought the property from their heirs making it their home, ushering in one of the most extraordinary periods in the plantation’s history. Cammie undertook an extensive restoration of the structures located on her new property, including another Big House expansion. It was Cammie who added the distinct hexagonal garçonnière towers (Translation: fr. boys room or bachelor pad) on each end of the gallery of the Big House. She also added the back portion of the home to make her bedroom, indoor kitchen, indoor pantry, and a sun/quilting room. In addition to the expansion of the Big House, Cammie was a true preservationist. She collected historic log cabins from all around the parish, as far as Grand Ecore on Red River, and brought them to Melrose. As a preservationist, Cammie also collected cultural arts and crafts such as weaving techniques, Cane River art, photography, and Louisiana lore that was threatened or at risk of being forgotten. After John Hampton Henry’s sudden death in 1918, Cammie not only maintained the agricultural empire but also created a haven for artists, craftsmen, and authors. Melrose became a retreat for visiting artists and a center for creativity. As a patron, Cammie Henry hosted many well-known writers and artists of the early 20thcentury. This period of arts revival is now known as the “Southern Renaissance.” Lyle Saxon, who acted as a catalyst for the Melrose artist retreat, wrote his best known novel Children of Strangers, which portrays the Cane River region, on site. Melrose and Cammie Henry hosted many of the prominent figures of the Southern Renaissance including William Faulkner, Rachel Field, Ada Jack Carver, Roark Bradford, and Alberta Kinsey. Among Cammie’s employ was a cook named Clementine Hunter. Clementine began as a field hand at Melrose when she was twelve years old. Originally born at Hidden Hill Plantation in 1887, her family moved to Melrose as sharecroppers for the Henry family. Later she became a house keeper but it was while she was a cook that she found some discarded paints left behind by an artist at Melrose. Those discarded paints changed her life and continue to touch those who view and admire her work each day. Clementine is a self-taught, primitive artist. She never completed any formal education and did not learn to read or write. She expressed herself, told her story, through paint. Her unique African-American perspective, considered "insider art", tells stories that historians overlooked while documenting plantation life. Plantations are far more than the big house and the crop produced. Clementine captured the community of workers, the life of the "gears" that make plantations successful and prosperous. In 1955, at the age of 68, Hunter completed her most famous work, the African House Murals. They were painted with oil on plywood and installed on the second floor of the African House at Melrose Plantation. 1955 is a significant year, as mechanization would reach Cane River in the early 1960s and would forever change the way of life for African American workers. In 1986, two years before her death, Clementine Hunter received an Honorary Doctor of Fine Arts degree from Northwestern State University of Louisiana. A University that, in the 1960s, had previously not allowed Hunter on campus to view an exhibit of her work, due to the segregation laws of the time. Today, Hunter is recognized as one of the most famous African American Folk Artists in the United States. She died in 1988, at 101 years of age, after completing thousands of works of art. Her creations, including the African House Murals, are still viewed by over 15,000 visitors annually at Melrose Plantation. The arrival of one eccentric guest, Francois Mignon, would forever change the historic fabric of Melrose Plantation. Francois arrived for a six-week visit in the early 1940s and stayed 32 years. Mignon became the resident Writer and Historian completing his “Plantation Memo” and thousands of pages of journal entries detailing daily life at Melrose Plantation. Francois always claimed to be from Paris France, however, we now know that he was from Courtland, New York and was born with the name Frank Mineah. Along with his created identity, Francois elaborated and romanticized much of the story of Melrose. Historians today have a difficult time deciphering Francois’ legends and tales from historical fact. Francois continued his residency at Melrose even after Cammie Henry’s death in 1948 until he moved from Melrose in 1970. Despite his elaborate story telling, Francois is a primary reason for the protection and preservation of Melrose Plantation and thus, must not be ignored or dismissed. After the death of Cammie’s son and manager of the plantation, J.H. Henry Jr., in 1970, Melrose Plantation was sold by the Henry family at public auction. Furnishings, including many of the cultural items Cammie Henry collected all of her life, were sold to the highest bidder. Melrose was stripped of many of the Clementine Hunter murals that adorned the buildings. All except the African House Murals were torn from their walls and sold. The property and buildings were sold to Southdown Land Company to continue farming the acres of pecan orchards that the plantation yielded. Southdown, in 1971, donated the 6.55 acres, which houses the historic structures seen today, to the Association of Natchitoches Women for the Preservation of Historic Natchitoches. Since 1971, Southdown Land Company no longer owns the pecan orchards, the organization has changed its name to the “Association for the Preservation of Historic Natchitoches” and still continues to own and operate Melrose Plantation as a historic house museum for the public, and Melrose has been named a National Historic Landmark which recognizes the site as not just for a local or regional importance but as vital to the National story. The sale of Melrose ends the Henry Era on this property. However, the story of Melrose is far from over as each day visitors, historians, and volunteers explore and uncover new exciting information about this unique place and the story of the slave girl from the household of St. Denis, the family that founded a community, the woman who survived the civil war and educated slaves, and the thriving artists retreat and the Southern Renaissance that drove a cook to tell her story in paint. The APHN story begins many years before the group received Melrose Plantation in 1971. Actually, the story begins 30 years before Melrose was a public museum. The Association of Natchitoches Women for the Preservation of Historic Natchitoches was founded in 1941 in an effort to protect and restore Lemee House, a historic site located in downtown Natchitoches, from being sold by the city to a developer. The women of ANWPHN leased the structure from the city for a period of 99 years with the understanding that the organization would restore and maintain the home. From that point, Lemee House became the headquarters of the first formal preservation organization in the oldest settlement in the Louisiana Purchase. The women of ANWPHN again mobilized when the state attempted to remove the beautiful downtown brick street and replace it with modern asphalt. In protest, the ladies impeded the movement of the bulldozers sent to tear up the historic bricks. Recognizing the difficulties ahead, the state changed course and restored the bricks on Front Street. APHN is credited with saving the brick street, one of the most recognized icons of our past. Through the years, the women have made progress on city beautification projects, including the decorative ironwork on the Cane River bridges downtown, and continue to be a leading voice for Historic Preservation in Natchitoches. In 1971, the organization received the 6.55 acres of historic Melrose Plantation and undertook extensive restoration projects of the 9 historic structures on Melrose Plantation and Lemee House. Since 1971, the ANWPHN changed their name to the “Association for the Preservation of Historic Natchitoches” (APHN), reflecting the addition of men to the board of directors and general membership. Bayou Folk Museum (Kate Chopin House) in Cloutierville, LA was established by Mrs. Mildred McCoy in 1964 and named for the famous writer who once resided in the home. It was given in 1986 to Northwestern State University of Louisiana then to APHN in 1987. APHN co-hosted writers conferences and used their third historic site as a center for the cultural arts and traditions of the Cane River region and rural Natchitoches Parish. Disaster struck in 2008 with the loss of Bayou Folk Museum during a devastating fire, which consumed the home and contents. Plans are being developed deciding on the future of the historic ruins. 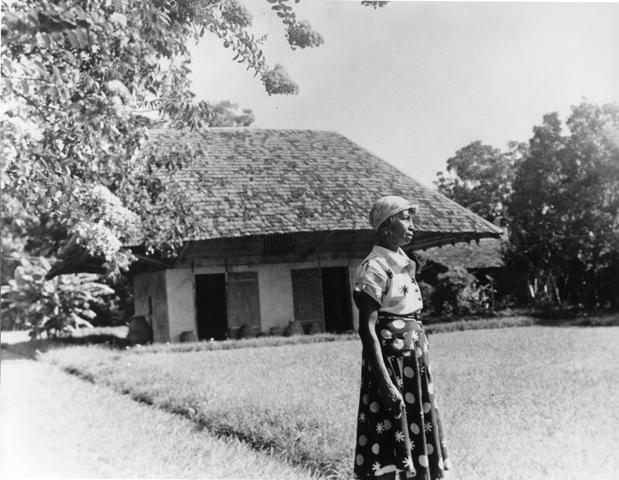 Today, APHN still owns and operates Melrose Plantation, Bayou Folk Museum Ruins, and holds the lease for Lemee House. In addition, the organization remains a leader for historic preservation and education in Natchitoches Parish.